Tristian Thornhill studied Industrial Design and Technology at Loughborough University in the UK, graduating in 2001. 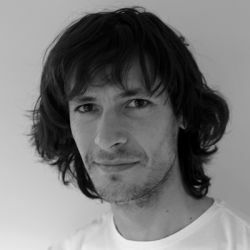 He began his career as an industrial designer in consultancy and in-house design studios, having many patents under his name and recently winning a Red Dot award for his work on a range of consumer appliances. He has worked across many different sectors from furniture and drug delivery devices, to cordless vacuum cleaners and audio devices. A life changing experience changed Tristian’s outlook on life and he saw that his love of design and lifelong ambition could be realised. Tristian founded the Tristian Thornhill brand in 2017 with the aim to design, develop and influence every aspect of creating beautiful products that connect with people.